Brianna Meyer understands that clients come to her during one of the most sensitive times of their life and works tirelessly to achieve the best results for her client’s individual needs. Ms. Meyer recognizes that the process surrounding divorce and custody proceedings is a psychological and emotionally taxing time period and many clients come to her with little experience with the court system. She believes that by being an attentive listener and explaining the process in a clear way helps clients understand the process, which she believes is a key aspect in easing any worries clients may have. Ms. Meyer understands the emotional strain involved with children in custody and divorce proceedings and works with clients and families to shield innocent parties as much as possible. Ms. Meyer is dedicated to helping clients navigate all stages of litigation whether it be custody, navigating finances and property issues before marriage or dividing assets and financial issues during the divorce process. Ms. Meyer is dedicated to understanding her client’s situation and needs by helping protect her client’s interests and getting them the best possible outcome. While always willing to negotiate a fair settlement if possible, Ms. Meyer also has the knowledge, experience and dedication to take any matter to trial. Ms. Meyer practices in areas of divorce and family law including premarital and postnuptial agreements, child support, child custody, visitation, maintenance, property division, financial matters, parentage matters and post-judgment issues such as enforcement and modification of judgments. Ms. Meyer began her legal career at the Taradash Group, P.C. as a law clerk in 2016 and has exclusively focused on the field of family law. She was hired as an associate in 2018. 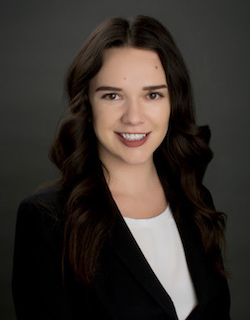 Ms. Meyer received her Juris Doctor from DePaul University College of Law where she focused her studies on Tax Law and Family Law, subsequently earning a Certificate in Family Law. Ms. Meyer attended DePaul University for her undergraduate degree, where she received a Bachelor of Arts in History and German. Ms. Meyer is originally from Iowa, and now lives in the Boystown neighborhood of Chicago. Ms. Meyer enjoys playing the piano, spending time with her family and reading.